Matcha is Japanese green tea that has been ground to a fine powder. 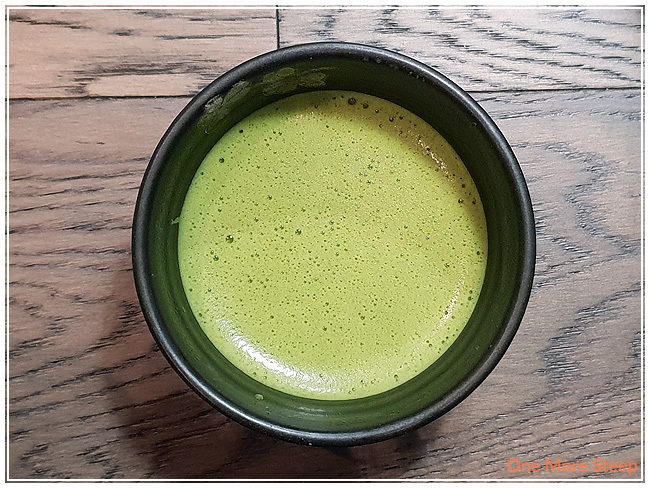 There are a lot of different places to get matcha – I’ve bought some very inexpensive matcha, and I’ve also gotten my hands on some very expensive matcha. The general rule of thumb is that you get what you pay for – meaning that the higher the quality, the higher the price is likely going to be. I tend to reserve the less expensive (read: lower quality) matcha for baking purposes, and I’ve also bought flavoured matcha blends before, which are great for drinking straight, or as a latte. Sifting the matcha is important. It helps break up any clumps in the powder and makes the whisking part of your matcha preparation a lot easier. 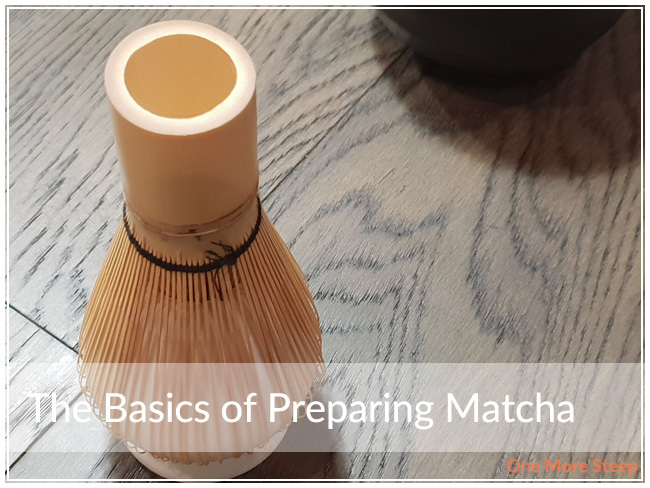 Even if you are preparing matcha in a blender bottle (and let’s face it, if you’re adding matcha to a smoothie or making a matcha latte on-the-go, this is a viable option), sifting the matcha powder will help it blend a lot easier. I start by spooning the matcha powder into the sifter that’s sitting in my bowl. Then I use the spoon to push the powder through the sifter, getting rid of any unsightly clumps that may exist. I find with ‘older’ matcha powder or flavoured matcha powders (that have sugar), they’re more likely to be clumped. Sifting it helps a lot in getting a smoother drink. Once the matcha has been sifted, I add a small amount of warm water. Then the whisking begins! For those who do not have a bamboo whisk, I found that using a fork or a regular (small) whisk can sometimes work, but takes a longer time to get the powder well suspended. 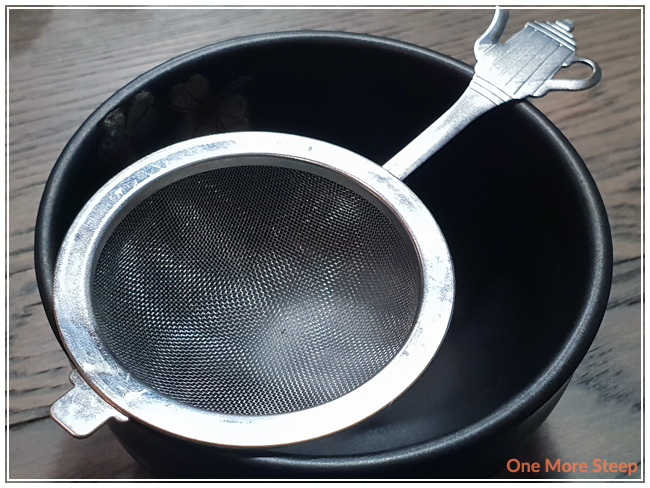 I’ve heard from many people that you should whisk in either a M motion (M for matcha) or W motion (W for whisk). Whichever letter you decide on, just keep doing it repeatedly in the bowl. The more vigorous you whisk, the faster the matcha powder is suspended in the water. It becomes a thick green (smooth!) paste in the bowl – I generally wind up with something that reminds of a syrup consistency. Then I add more water so it’s closer to the top of my bowl, and continue whisking in an M or W motion. Once I’m satisfied with my whisking, which happens when there’s some foam on the top, I will either drink directly from the bowl, or pour into a larger cup if I’m making a matcha latte. Take care of your whisk! I rinse out my bowl with warm water, and whisk the water to help clean off the whisk. There are whisk holders that you can purchase which help keep the whisk’s shape and you can pop the whisk onto the holder to dry. Lastly, practice makes perfect! The first time I tried to whisk matcha, it was pretty terrible. 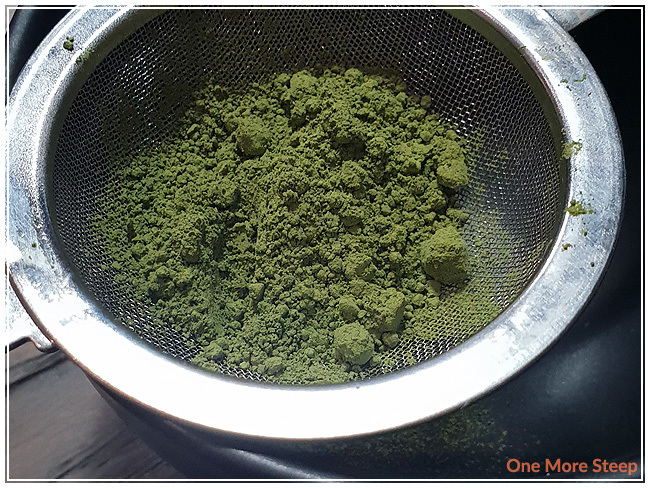 But I also did not sift the powder beforehand because I didn’t think it was necessary (not-a-spoiler: it was and it is important to sift your matcha!). I have gotten a lot better with my whisking skills now, although I don’t always get a crazy amount of foam on top – which is okay too!